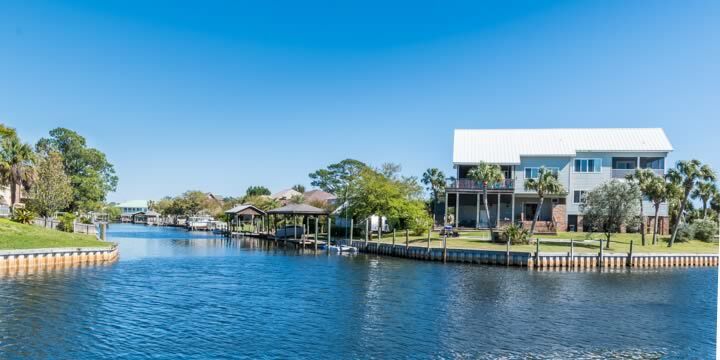 The gorgeous community of Villa Venyce was built on the southern side of Gulf Breeze, wrapped around a series of canals that lead to deep water in Pensacola Bay. Most of the houses are direct waterfront, with private boat docks and piers in the backyard. The homes are custom-built brick with elaborate tropical landscaping and breathtaking views of green and blue. Developed in the late 1980's and mid 1990's, the homes are usually updated and maintained immaculately. Many have larger lots and pools in the back, as well as outdoor entertainment areas, grills, and dining facilities. Waterfront homes are priced at $500,000 - 600,000 on average. Villa Venyce also has homes that are not on the water, although just several streets over. These properties still have the same tropical look and maybe a backyard pool, but they are priced very reasonably, some as low as $200,000. Most of the homes are three and four bedroom, and prices are based more on the proximity to the water than anything else. Children attend the top-rated Gulf Breeze Elementary, Middle, and High Schools. It is just a short drive to the beaches, shopping, restaurants, hospitals, parks, Andrews Institute, and the Pensacola mainland. Located right off Hwy 98, the Naval Live Oaks Nature Preserve and the Gulf Islands National Seashore are just blocks away. 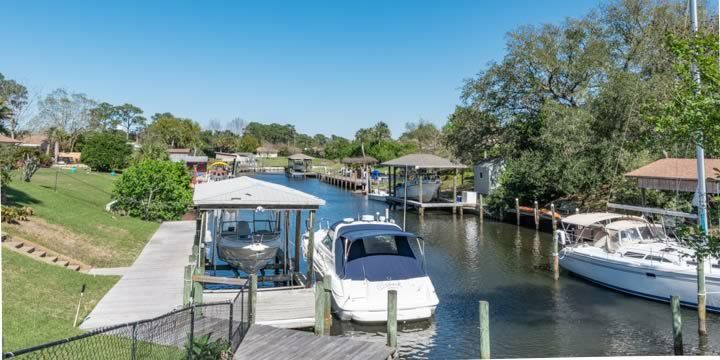 If you are an avid boater, looking for a Gulf Breeze home directly on the water, or just want to live in an absolutely beautiful neighborhood, the homes in Villa Venyce are just what you dreamed of. You will also find several lots for sale, and occasionally a brand new home to be built. You owe it to yourself to see if your next home in here! Call Emerald Coast Realty for a tour or more information.